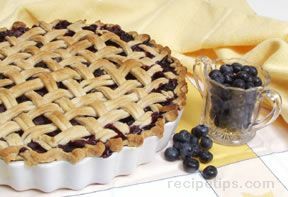 A grunt is a dessert, traditionally served on America's east coast that is a combination of a pie and a cobbler. 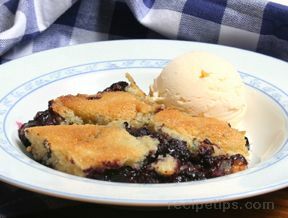 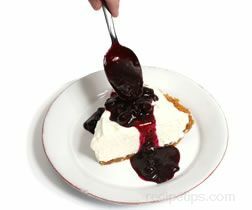 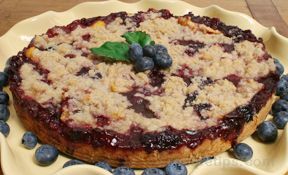 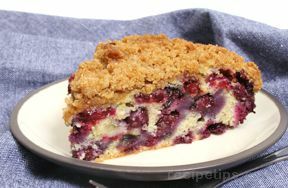 It consists of fruit, most often berries, which are cooked beneath a crust of biscuit or dumpling type dough. 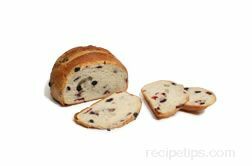 The Grunt was named for the echo of sounds coming from the bubbling fruit under the dough as it cooks. 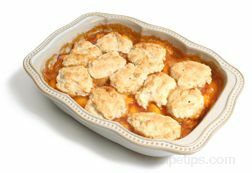 A Grunt is similar in preparation to the Slump with the exception that the Grunt is steam cooked and the Slump is baked. 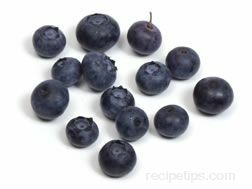 Check through the blueberries for any bad berries and discard. 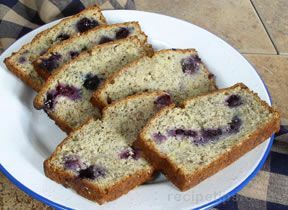 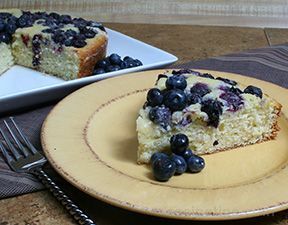 Combine the blueberries, water, and sugar in a medium size skillet. 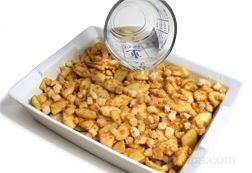 Cook over medium high heat until boiling. 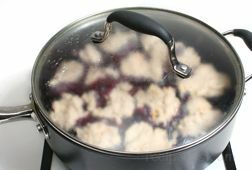 Turn heat down and simmer uncovered for 20 minutes. 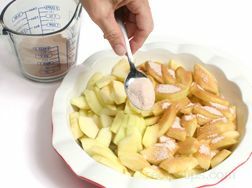 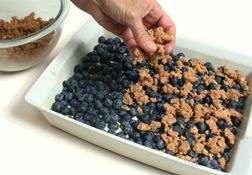 While berries are simmering, combine the flour, baking powder, orange peel, cinnamon, and salt in a bowl and stir to mix evenly. 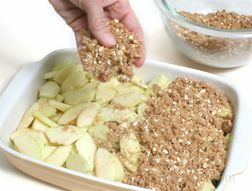 Add the milk and stir just enough to moisten the dry ingredients. 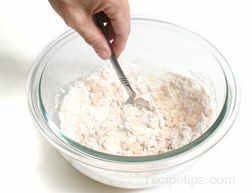 The dough will be fairly thick. 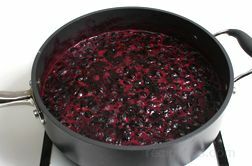 After the blueberries have simmered for 20 minutes, drop the topping mixture a tablespoonful at a time on top of simmering berries in the skillet. 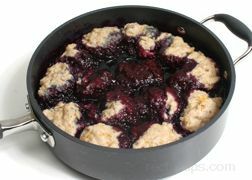 Cover the skillet and cook for 15 minutes or until the dumplings are done. 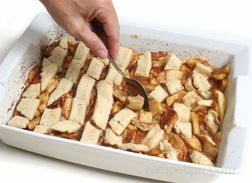 Do not remove the cover during the cooking time. 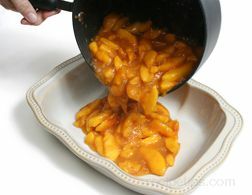 When the grunt is done, spoon it out of the skillet on to a plate, serving while it is still warm.